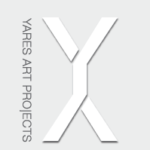 Yares Art Projects is a multi-faceted entity within the spectrum of the arts. The primary focus is the representation and exhibition of paintings, drawings, and sculpture. The Gallery exhibits major works by Abstract Expressionist and Color Field artists of historical significance; Gene Davis, Thomas Downing, Friedel Dzubas, Helen Frankenthaler, Hans Hofmann, Morris Louis, Joan Mitchell, Kenneth Noland, Jules Olitski, Esteban Vicente. The Milton Avery Estate is represented by Yares Art Projects. 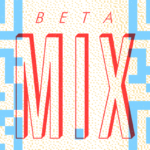 The Gallery also exhibits various innovative artists utilizing diverse mediums such as gilded glass, cast polyurethane, marble, found objects, cor-ten steel and video. Over the past two decades, the Gallery has advised, curated, and assisted in formulating extensive collections in Scottsdale, New York, Reno, Denver, Santa Fe, Miami, Las Vegas, and Los Angeles, with a focus on the Color Field School. The Gallery has also worked directly with several museums in placement of art work including The Denver Art Museum, Crystal Bridges, The Santa Barbara Museum, The Hammer at UCLA, The Cantor Fine Art Center at Stanford University, The Phillips Collection, Washington, D.C, among others.